Want to be a blogger but not sure where to start? I think blogging is brilliant if you like to write, build a new community, share ideas, promote yourself , make money or just offlload. It can also be a cheap and fun filled hobby. The whole theme this month (+last) on my blog has been about ways for mums to make money. Blogging can be one of those ways depending on what you want from it. 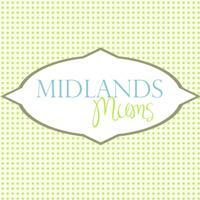 This is a little post to promote the blogging servcies of the very blog-savvy Carol Smith. 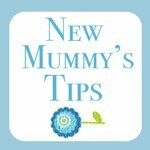 She is in my opinion one of the most helpful, straightforward, reliable and clear blogging mummys I know. Blogging is fab…as you can probably tell I LOVE blogging but it can be hard to see the wood form the trees at the start. Well this is a little taster of how Carol can help and she comes with my highest recommendation. Have a business blog but don’t have the time to get it updated? Or want to start a blog but have no idea where to start? Well I’m the lady for you; I can write your posts, run your twitter account or help set your blog up. I run two successful blogs of my own plus write for countless others. I can work on a per piece basis, per month or as a consultant. I can write on a variety of subjects not just parenting. I have worked in retail, commercial, HR and Training and have a degree in Business and Law. Next Post Friday Competiton: Win a pair of Swiggies !